I'm always looking for HOT deals on Converse Shoes. That means you can score some really sweet deals on Converse! 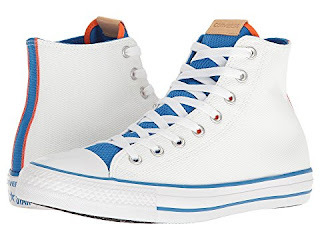 For example these Chuck Taylor All-Star Hi ONLY $24.99 (Retail $75). Browse your favorites before they disappear. Through October 22nd, 6pm.com is offering FREE shipping on any size order! This is a RARE offer, so make sure to take advantage of this while you can!